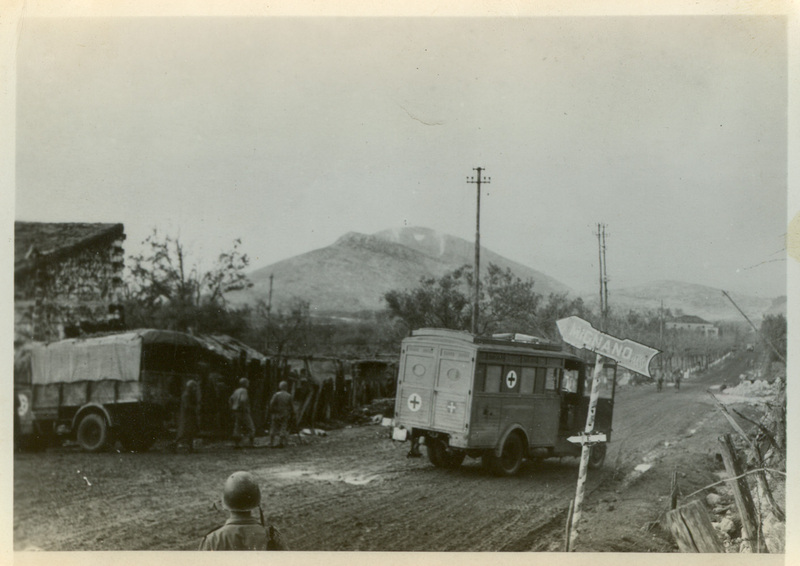 A set of four original photos from World War Two showing the Allied advance into southern Italy. Great composition. 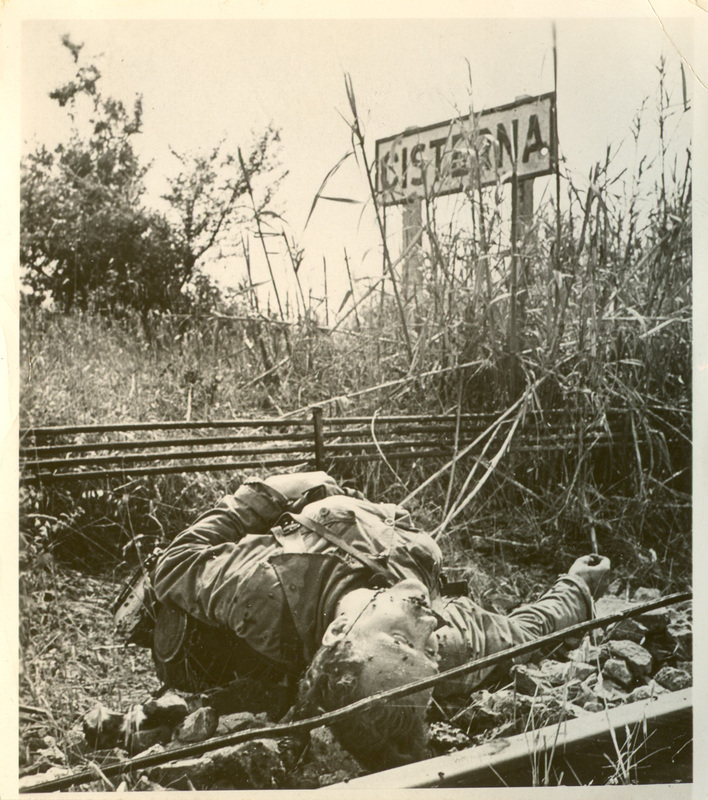 Especially on the dead German, the back of which reads: "Jerry - Kaput, Cisterna, Italy" in pencil. Each of these photos has a sign showing which city they are entering. 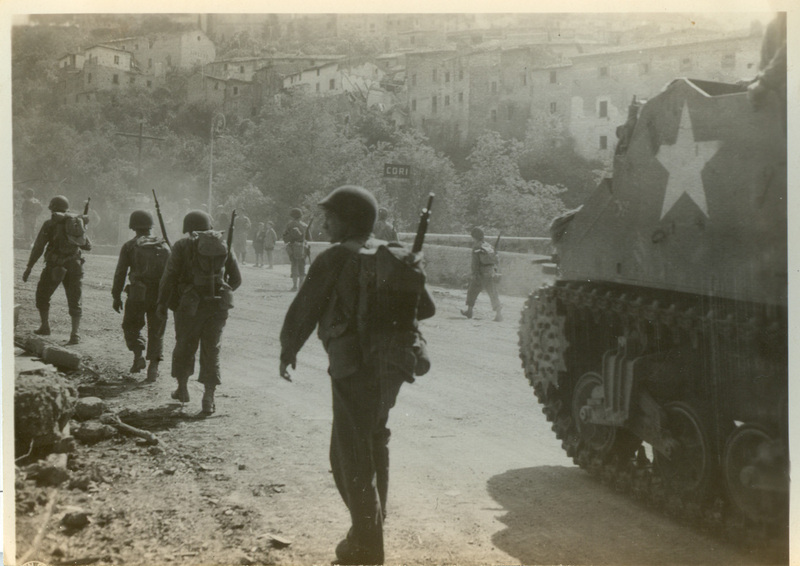 The photo of the troops entering Mignano has the name of the city written on the back in pencil. The other two are blank on the back. 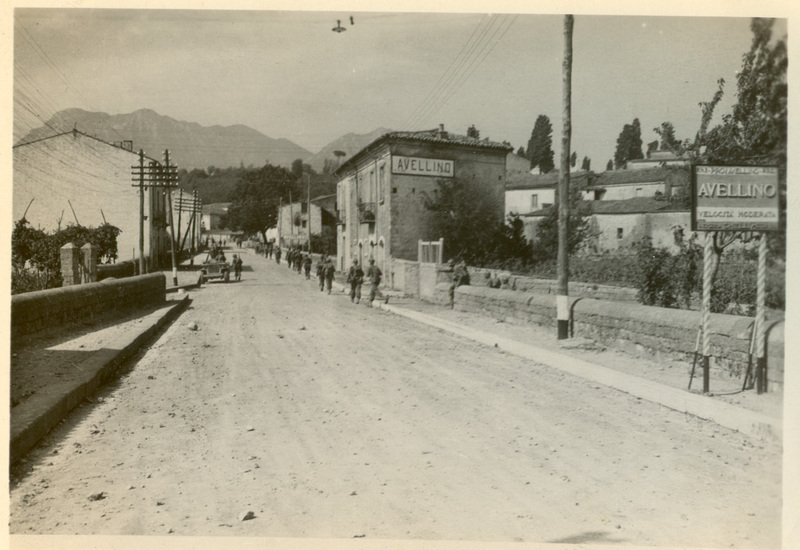 These come from the collection of a Navy Gunner's Mate that participated in the Tunisia Campaign and entered Bizerte. These four photos, however, are different in composition that the others, and I have speculated that perhaps he acquired them from another seaman or bought them.